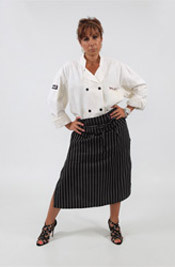 Maria started working with her parents in the family owned Santa Lucia Restaurants in Winnipeg Canada. At the age of 18 moved to Greece and studied business administration as well as culinary Greek cousine. She then moved to the USA and opened the first Authentic Greek and Italian Santa Lucia in 1991. Since then she had raised four children and created the new franchise concept Santa Lucia take-n-bake restaurants.